With the fresh start to a new year Trendease is pleased to bring you comfort from the past assimilated for the present with Modern Vintage, an experienced retailer’s successful merchandise mix, pets pampered by design, contemporary floral motifs, personalized interactivity, new talent features, EcoChic plates and 6 color palettes with Pantone reference for spring/summer 07, plus tradeshow highlights. Paris — What will design bring to us in 2006 and beyond? This year promises to be full of inspiration and new adventures. Read Jennifer’s take on the new Modern Vintage along with thoughts on cultural and lifestyle shifts as they are impacting our industries. 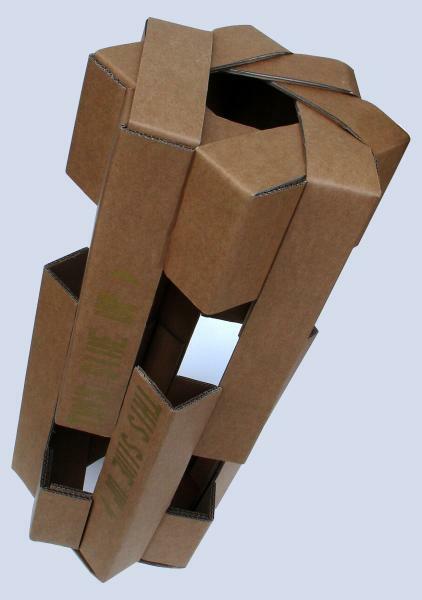 Plus see the gallery of images on David Graas’ designer solution to the overabundance of packaging. Jouy en Josas — The toiles de Jouy of yesterday transform to become the toiles de Jouy of today when contemporary designers are asked to create individual displays modernizing the classic print. Take a journey to the home of toile de Jouy, a stone’s throw away from Versailles in France, to see how the past is mingling with the present to create a winning combination of style and salability. Multiple Cities — These decorative elements, motifs, and color palettes have made a comeback. Many people would like to say that this trend is new and fresh, in all reality it is a blast from the past. And quite interestingly the conditions that made it popular back then look quite similar to the backlash of design for the masses that we are experiencing. While the Trendease term “Crafty Couture” is relatively young, the derivative appears to be cyclical. Read the logic behind this trend and see past and present examples here. Stockholm — This beautiful boutique of distinguished heritage was opened in 1913 and became the first furniture company in Sweden to show Scandinavian as well as international designs. The idea was to offer architecturally-designed furniture which would survive shorter trends and different eras. In this retail feature, learn about the designers and merchandise mix that has kept the gallery in the running for almost 100 years and take a virtual tour through their current product offering. Multiple European Cities — The life of a 21st Century pampered pet is growing to resemble that of its master. Fashion and design for pets is old news, but Trendease has found some newcomers to the scene that we would like to share with our subscribers (and their four-legged friends). With over $36 billion a year spent on pets in the US, it is a category that cannot be denied. This feature takes a look at furnishings, jewelry and accessories for furry and winged friends and delves into not-to-be missed tidbits on product offerings. Multiple Cities — The beauty in this design comes from the intricacy (or simplicity in some factors) that can be achieved with the motif while keeping the kitsch at bay by choosing solid colors or utilizing negative space. Welcome to this gallery where you can bask in the shadows of the floral motif on walls, lights, textiles, home fashion accessories, tabletop and more. Multiple Cities — Looking at the macro trends of reflexive modernity and cultural shifts, it is intriguing to see how product design can play into these phenomena on a micro level. So while we live in a mass-cultural macro-world concurrently with a personal and unique micro-world product developers must learn to adapt to the shifting lifestyles to fill the changing needs of the consumer. This lifestyle shift is reflected in contemporary product development as seen with some examples in this gallery and feature report. Brooklyn — During the holiday shopping craze in New York City a select few got to experience local talent at an event brought to us by none other than Design Within Reach. Aiming to provide accessibility to good design traditionally found only in designer showrooms DWR brought together new talent with a history in furniture design, television, vodka branding, marketing and eco-design to help shoppers find inspiration to spend. Brooklyn — At all hours of the day and night, Trendease roams the globe to uncover secret design hideaways and reveal the absolute cutting-edge trends to our subscribers. One of the more significant trends we have detected is increased environmental awareness. In this column, we feature designers and products which are not only admirably ecological, but also fabulously chic. Trendease is proud to present Sarah Cihat as our first EcoChic designer of 2006. She is giving tabletop a whole new life. Worldwide — Cotton Inc. has shared their color, print and surface forecasts they have researched for apparel spring/summer 2007. Subscribers are welcome to analyze the colors stemming from science, beetles and nature while reading the new print buzzwords. This color story is complemented with the closest available Pantone color references. Worldwide — Cotton Inc. has shared their color, print and surface forecasts they have researched for apparel spring/summer 2007. Subscribers are welcome to analyze the colors stemming from earth, air, fire and water while reading the new print and surface buzzwords. This color story is complemented with the closest available Pantone color references. Worldwide — Cotton Inc. has shared their color, print and surface forecasts they have researched for apparel spring/summer 2007. Subscribers are welcome to analyze the colors stemming from seashells and chalky tones while reading the new print and surface buzzwords. This color story is complemented with the closest available Pantone color references. Worldwide — Cotton Inc. has shared their color, print and surface forecasts they have researched for apparel spring/summer 2007. Subscribers are welcome to analyze the colors stemming from a classical beauty assimilation while reading the new print and surface buzzwords. This color story is complemented with the closest available Pantone color references. Worldwide — Cotton Inc. has shared their color, print and surface forecasts they have researched for apparel spring/summer 2007. Subscribers are welcome to analyze the colors stemming from Mother Nature’s struggle and the weathered earth while reading the new print and surface buzzwords. This color story is complemented with the closest available Pantone color references. Worldwide — Cotton Inc. has shared their color, print and surface forecasts they have researched for apparel spring/summer 2007. Subscribers are welcome to analyze the colors stemming from happiness and simple summer pleasures while reading the new print and surface buzzwords. This color story is complemented with the closest available Pantone color references. Worldwide — This week’s gallery cross-references and ties together some of the research that the Trendease Team has been working on in regards to color, and also motif. Subscribers are welcome to see the results of pooling many trade shows and design research together as well as be able to access related articles and color palettes with Pantone color references. Paris — Today’s photo gallery consists of the Trendease top product picks from the Salon du Meuble de Paris that we attended this past weekend. 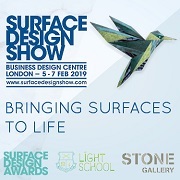 Sit back and view some concept beds, new talent, hip wallpaper, immaculate carpets, items from the research lab and more. As we compile our research during the mad tradeshow season this January, be assured that not only will we cover all of the inspiring trend exhibits, we will also cross reference our findings to bring you cutting-edge reports on what cannot be missed! Hannover — Ciao from Milano! Boy has it been an over-stuffed week since we last touched base! We finished up at Heimtextil, then headed to Domotex and contractworld in Hannover, Germany, and continued our German adventures in Cologne at imm cologne, the international furniture fair. This week’s gallery is a must-see for any professionals working with soft floor coverings or interiors. Floor coverings have gone from basic function to decorative jewelry for the floor. 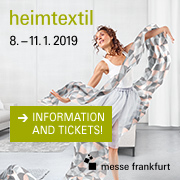 Frankfurt — This week’s gallery is for all of you who missed Heimtextil (or never made it to hall 8). One of the trend sections at the fair was “Sleep + Dream” where visitors could explore the new collection highlights from basic bedding to more decorative colors, prints, materials and textures. Trendease found it to be an inspiration for new ways retailers or showrooms could display their product offerings. Here subscribers are welcome to sleep and dream while awake and catch up on buzz phrases that reflect current lifestyles.